Along the eastern reaches of Mpumalanga lies the Kruger National Park & Lowveld, a belt of land that stretches from the Swaziland border as far as the Limpopo River on the Zimbabwe border in the north. To the south of the Kruger National Park & Lowveld area, between the Kruger Park and the Swaziland border, lies an area of Lowveld known as the Maputo-Nelspruit development corridor. This is, above all else, an agricultural area, where a large proportion of South Africa's tropical fruit and vegetables are grown. The Kruger National Park & Lowveld is dotted with hills and valleys where guests will find traces of the early San (Bushmen) people, who left their marks in ancient rock paintings and engravings in the many caves of the Kruger National Park area. Visitors can also see archaeological ruins, old wagon trails and gold diggings. The Kruger Park is by far the most important game reserve in Southern Africa, and certainly one of the best places in the world to see the Big Five. The Kruger Park is a vast area 400 kms from north to south harbouring 147 species of mammal, over 500 bird species, as well as numerous species of reptile, fish and amphibians, to say nothing of the 336 species of trees. In this vast and endless wilderness epitomizing the true quality of Africa, safari Kruger Park accommodation lies in the land of baobabs and marula trees, and offers a wealth of Kruger Park safari rest camps to suit all budgets, which provide an authentic wildlife experience, and exquisite panoramic views over the Kruger Park bushveld. Apart from the obvious attractions, the Kruger National Park & Lowveld region of Mpumalanga is famous for its wide selection of adventure holidays, from rock climbing and hiking, to white water rafting and windsurfing, from bird watching to paragliding. Mpumalanga is, without doubt, a part of South Africa that cannot be missed by both locals and international visitors alike. Take a trip through the Kruger National Park Lowveld, and experience South Africa in towns where early fortune-seekers, hunters, gold-diggers and adventurers created legends. From its humble beginnings, Mbombela / Nelspruit became the Capital of Mpumalanga, and the most important commercial centre in the Kruger National Park Lowveld area. Fondly called 'Nellies' by the locals, Nelspruit / Mbombela is also known as the gateway to Mpumalanga, and boasts an international airport with regular scheduled flights to the larger cities of South Africa. Situated about 53 minutes from the Kruger Park, Mbombela is the ideal base from which to explore this Mpumalanga wildlife sanctuary, which is inhabited by more species of mammals than any other African game reserve. With its sunny, sub-tropical climate, Mbombela is rated as a superb holiday destination, offering visitors unique experiences such as at the 3 million year old Sudwala Caves; or a family fun day at the Nelspruit Croc River Enviro Park. Go horse riding on mountain bushveld trails, or test your skills on 4x4 trails over rocky terrain. Challenge yourself on the Nelspruit Golf Course - an 18 hole par 71 golf course with lush year-round fairways lined exclusively by indigenous trees. For the shopoholic, Nelspruit Riverside Mall is one of Mpumalanga's largest shopping centres and cinema complexes, or strike it lucky at Emnotweni Casino. White River is a favourite holiday destination for both locals and foreigners looking to enjoy the beauty of the Kruger National Park & Lowveld Crocodile River Valley. Home to numerous craftsmen and Mpumalanga artists, White River is also a great base from which to explore the waterfalls, historic sites and hiking trails of the Mpumalanga Escarpment, and is in close proximity to the Kruger Park. White River, Mpumalanga offers guests an abundance of activities in and around White River, enough to satisfy even the most enthusiastic outdoor enthusiast: cycling, abseiling, archery, hiking, quad biking, White River rafting, zipline, golfing and more. Lying on the banks of the picturesque Sabie River, just 18 minutes from the Kruger Park Phabeni Gate entrance, Hazyview derives its name from the shimmering haze that lingers over the eastern Kruger National Park & Lowveld in summertime. Hazyview is renowned for growing the best bananas in the world, which is evident in the row upon row of banana trees stretching into the horizon. Hazyview, Mpumalanga is an ideal base from which to explore many famous Kruger National Park & Lowveld points of interest, such as the Blyde River Canyon, which is ranked as the 3rd deepest canyon in the world, For the 'adrenalin junkie', Hazyview, Mpumalanga is known as the 'adventure hub', and offers the rush of a lifetime for those who love to hot air balloon over the colourful Mpumalanga countryside, ride elephants and experience the thrill of Africa's longest aerial cable trail (1,2km). Located in the heart of the Mpumalanga Escarpment, Graskop is known as the gateway to the spectacular Mpumalanga Panorama Route, which begins 3km north of this historic little Mpumalanga town, making Graskop the ideal base from which to explore some of the most scenic tourist regions in South Africa, where several magnificent waterfalls can be found nearby, including Lisbon Falls, Mac Mac Falls, and Berlin Falls. Activities near Graskop include the Big Swing across the Graskop Gorge. There is also a zip slide across the gorge, and if that's not enough to take your breath away, try abseiling alongside Sabie Waterfall. Also try the hiking and 4x4 trails and horse riding. Sabie - a jewel set in a deep valley on the Mpumalanga, Kruger National Park & Lowveld escarpment, is a charming village surrounded by the largest man-made forests on Earth. Sabie is renowned for its hiking trails which range in length from 3km to 79km, or from a half day to a 5 day trail. Cycling trails and fishing along with abseiling are other activities on offer. Other nearby spectacular attractions are the Blyde River Canyon, God's window, Mac-Mac Pools and various waterfalls. Towards the southern part of the Kruger National Park & Lowveld lies Kaapsche Hoop, an area of scenic beauty that harbours wild horses and the endangered Blue Swallow. With its misty mountains and high rainfall, Kaapsche Hoop is a nature lover's dream destination. Walking, running, hiking, birding, fishing and swimming are just a few of the adventures that await visitors to Kaapsche Hoop. Explore the arts and craft shops, fuchsia nursery and historic cemetery, and dine out on delicious meal size pancakes at Koek 'n Pan, or have a drink at Salvador Main Street Bistro, known as 'the Pub with a Vibe. Kaapsche Hoop has a lot to offer, and is the perfect place to stay while exploring the Kruger National Park & Lowveld. Situated on the banks of the Kruger National Park & Lowveld Crocodile River, at one of the southern entrances to the Kruger Park, Malelane - derived from the Swazi word "emlalani", meaning "place of the lala palms", is surrounded by a large variety of indigenous trees and shrubs, and is a haven for bird watchers. - Visit the Mthethomusha Game Reserve, one of the first Kruger National Park & Lowveld Game Reserves to be established. Mthethomusha Game Park offers visitors a number of exciting morning and evening game drives in open safari vehicles, taking them through the reserve and into the neighbouring Kruger National Park. Marloth Park lies on the banks of the Kruger Park, Crocodile River, which forms the southern boundary between Marloth Park and Kruger National Park, Marloth Park gives guests the rare opportunity of living among the wildlife which roam freely between the Marloth Park accommodation units, while still being in close proximity to the Kruger Park Big Five. Marloth Park bushveld is a nature lovers paradise, where guests can enjoy horse riding, 4x4 trails, quad biking, fishing, micro-lighting and Kruger Park birdwatching, in a hotspot with more than 350 recorded species. Several formal Kruger Park safari game drives servicing the Marloth Park accommodation community offer a more intimate safari experience, where you can get up close and personal with the magnificent Kruger Park wildlife. The capital of the Kruger Park is Skukuza, Kruger Park, Mpumalanga's largest rest camp and administrative headquarters, and the main hub for nature conservation. 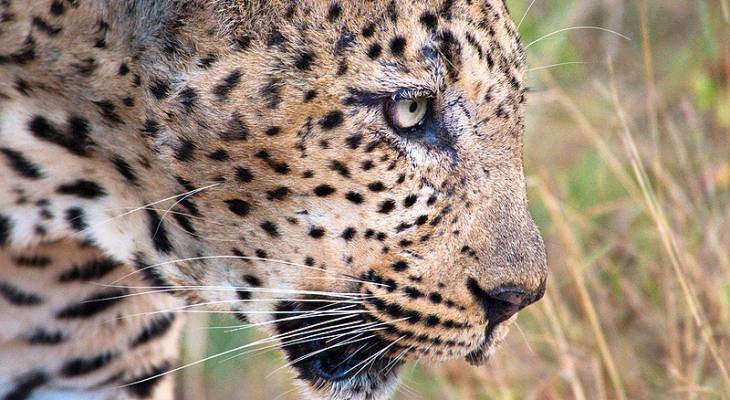 Skukuza is situated on the southern banks of the Sabie River, and boosts some of the finest safari game watching. In the interesting village of Skukuza itself, guests will find museums, restaurants, shops, an airport, post office, bank, and even a doctor's office. When you drive through the imposing gates into Skukuza you find yourself in an environment abuzz with scientists, rangers, conservationists. A wealth of knowledge can be gained in the Skukuza information centre, while adults and children can attend lectures in the nearby environmental education centre. A museum has been constructed at the old 1920's Selati line railway siding, where you can have a meal in a restaurant housed in two old railway carriages from the same period. After leaving Dullstroom on our way to Skukuza, we decided to do a detour via Hans Merensky Golf Estate in Phalaborwa. The famous Hans Merensky Golf Course stood up to it's name, as we hacked through the magnificent golf course with close sightings of giraffe, hippo, warthog, impala and crocodile - an experience not to miss. The Skukuza Golf Course was in OK nick and also had its fair share of wildlife roaming around. The Skukuza Golf Course is situated inside the Kruger National Park, and there are no fences separating golfers from wild animals............very interesting!! We then headed off to Sabi River Bungalows. With an eye to increasing your pleasure 5 architectural designed units stand apart from the main house, an additional 4 rooms are semi-detached and all have private entrances, en-suite bathrooms, and private patios overlooking lush green gardens. At Waterberry Hill, colonial-style chalets are surrounded by indigenous bush, offering shelter to a variety of birds and small animals. We offer three bedrooms which are centrally situated in Nelspruit, close to all amenities such as I’langa Mall, Medi-Clinic, CBD and Crossings Shopping Centre. Chalet 226a, Shongwe Ingwe, is a privately-owned chalet which is available to let throughout the year. Tranquil and safe bush camp in the Lowveld. Rustic self-catering camp sleeps 18 people on a 400Ha Game farm. Kruger National Park & Lowveld Accommodation and Information. Kruger National Park & Lowveld, Mpumalanga.